Get your business shipshape with our resources for online shops: free tools and paid training for creative shop owners. A comprehensive list of 260 blog post idea prompts for creative, product-based businesses that sell products online. Here’s how to build (and market successfully to) your email list. How Much Money Can Your Website Make? Is a redesign worth it? Here’s how to use your own sales numbers to forecast return on investment (ROI) for a web design project with us. Here is what we know about how to grow your traffic and improve conversion rate to make your online shop profitable. Use this list by a longtime craft show organizer to find out why your application was rejected, and make sure your next one works. Everything you need to do to set up an online shop in one handy guide. Includes a comprehensive e-commerce setup checklist! Our logo use guidelines (the same one we use for clients!) explain how to extend your brand details to everything you do, online and off. The story of how a skincare business handled a rebrand. 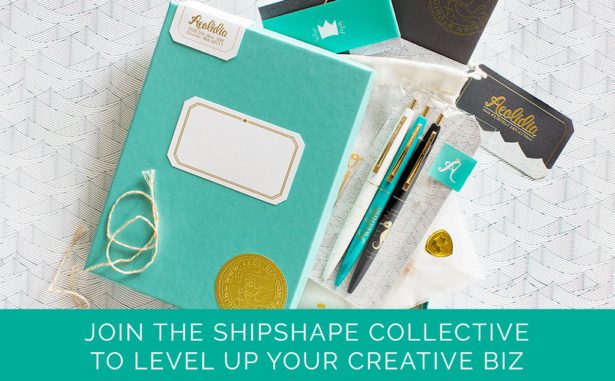 Doubles as a workbook for you to rebrand your own business. By Academy of Handmade. A comprehensive content strategy guide for e-commerce shops. Learn how to whittle down your content and strategically plan your website links. A blueprint, based on our own client work, to help you figure out who your best customers are so you can build a brand and marketing plan that resonates with them. How to get more traffic to your e-commerce shop from people who will love and buy from you. Use our handy downloadable spreadsheet to find out if it’s worth it for you to make the switch from Etsy to Shopify. A guide for e-commerce shops on how to create and stick to a content calendar for your blog and business. A guide for e-commerce businesses on how to use Pinterest as tool to generate traffic and sales. A comprehensive guide to product pricing formulas from Lela Barker of Lucky Break Consulting. A master list of what to pack when you exhibit at a trade show, based on our interviews with 14 business owners. A 40-minute recorded webinar on marketing your creative business, starting with your brand identity.